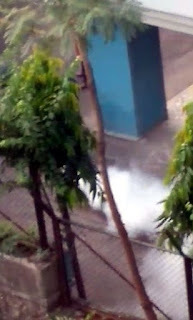 Mumbai, 8th November, 2018: At about 5.40 pm on Sunday, 4th November 2018, one of the two Tata Consultancy Services offices in Borivali, a western suburb of Mumbai near Sanjay Gandhi National Park, released a large amount of an unknown gas. The noisy emission was audible and visible from neighbouring buildings. I took this video of the gas emission. I took the video with my cellphone from my sitting room window on the fifth floor, of Raheja Green building. And then I dialed 100 and called the police control room when the emission was still in progress. 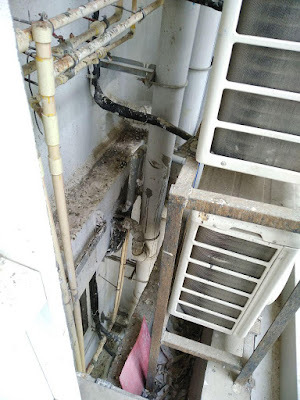 In the presence of police officers from Kasturba Marg police station, TCS gate security personnel claimed that they had just discharged some expired CO2 (carbon dioxide) fire extinguishers, and that it was an innocuous and harmless release. But they could not provide any further details or paperwork to prove their claim. They said that the person in charge was Sandip Divekar, Location Head, Administration.